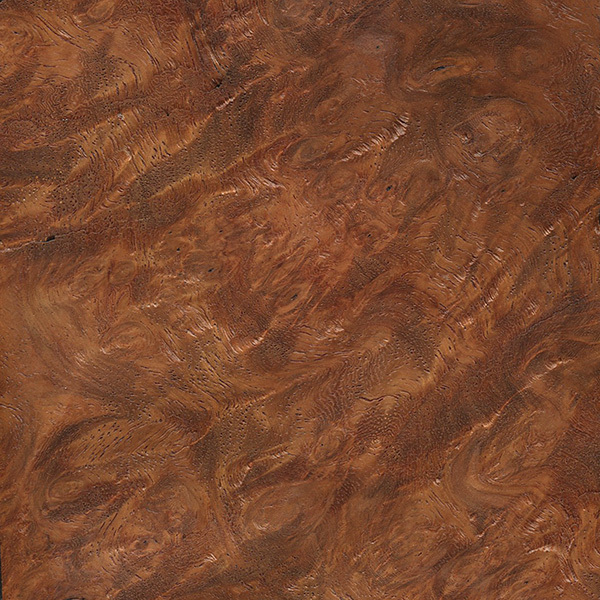 Amboyna is technically not a distinct species, but is the name of the burl wood from any of the Pterocarpus species. Most commonly this is Narra (Pterocarpus indicus), but burl sections of Burma Padauk (Pterocarpus macrocarpus) are also sold under the name Amboyna. The name is derived from Ambon Island in Indonesia, where much of the figured wood is believed to have been initially exported. 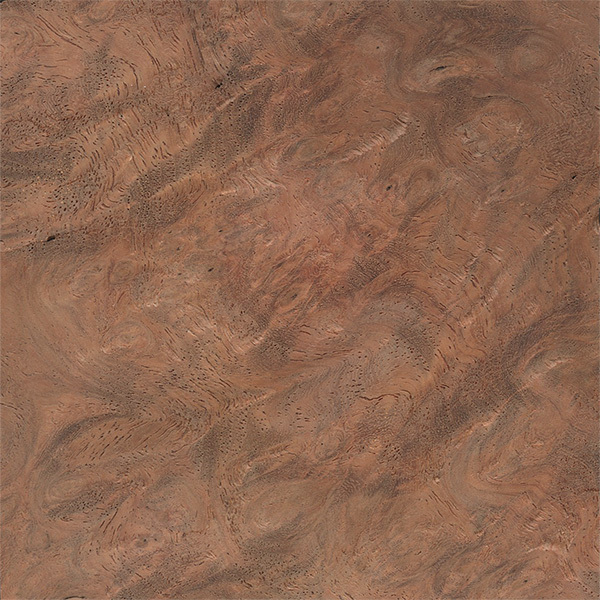 Amboyna is among the most expensive and sought-after of all burls, and is frequently sold as veneer or as small turning/craft blanks. Some suppliers specify “Red Amboyna” for material with the typical rich reddish brown heartwood, or “Golden Amboyna” for pieces with lighter yellowish brown coloration. 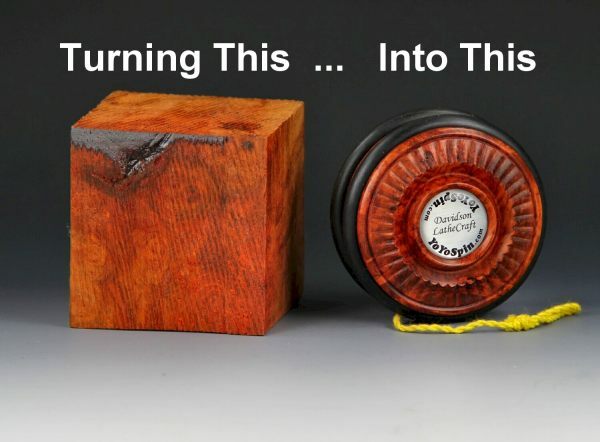 It’s not unusual for pieces to contain sharply contrasting yellowish sapwood. Amboyna is commonly used for fine furniture, turned objects, electric guitar tops, knife/gun grips, and other small specialty wood items. 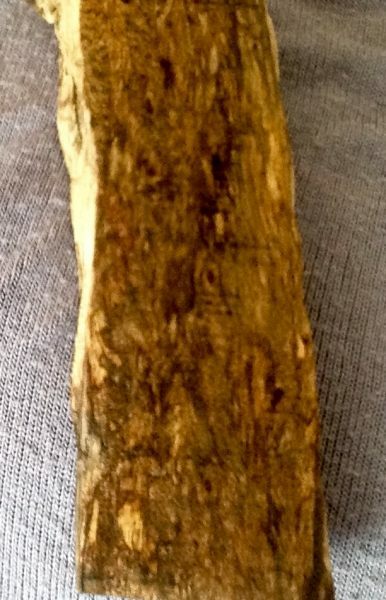 Can you help me identify this beautiful piece of wood. I can’t tell from the picture. Is that the bark, or the actual surface of the wood. I think it would need to be sanded in order to see the grain better. 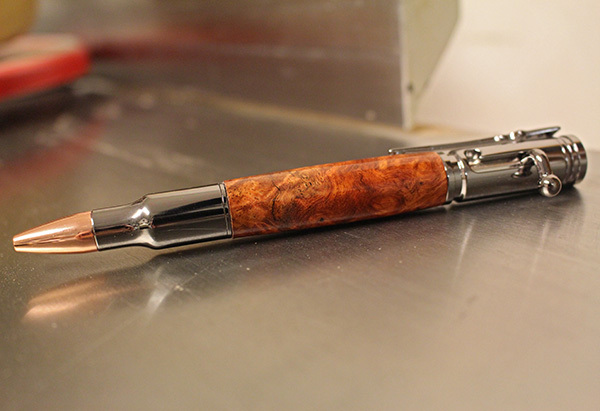 Amboyna Burl is my absolute favorite expensive exotic. Great for ornamental turning as well.